Damn do I really despise Kinja....Ahh yeah, the updates are either once a week or one in two. Okay lets get started. A.C.E. : Asheville Comic Expo, took place last week, and so did Nan Desu Kan. In case you missed it, The Geek Empress Goes to Nan Desu Kan and fills us in. Well that's it for now, and like always head over the Taylendar which can be edited by anyone and add expos, cons, shows, ect. 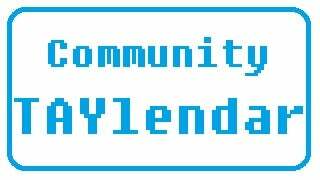 This has the been the community calendar update. The upcoming continuation of Samurai Jack is looking amazing af.